Location: North east of Udny Green, Aberdeenshire, Scotland. Ownership / Access: Udny family. 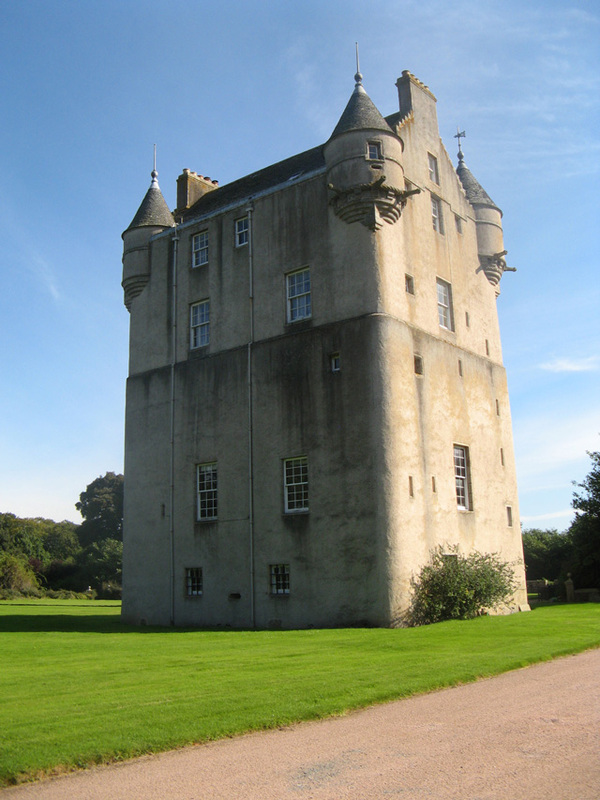 Notes: Udny Castle is a tower house in the parish of Udny, southwest of the village of Pitmedden and northeast of the hamlet of Udny Green, Aberdeenshire, in the northeast of Scotland. The area is generally flat but the castle is sited on the highest ground and can be seen for a considerable distance. Its exact construction date is unknown, but its foundations probably date from the late 14th or early 15th century. Additional storeys were added and a later extension, described as a "modern mansion", was incorporated but subsequently demolished. It is a Category A listed building.